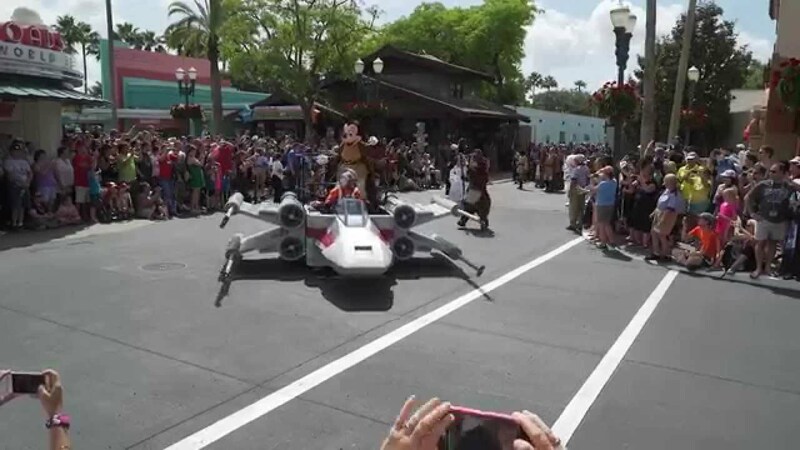 An annual celebration of all-things-Star Wars (mid-May through early June), this event features themed parades, “Star Wars” celebrity appearances, fireworks and character appearances. Hear from Frank Oz about bringing to life many of the characters from the Muppets, and Yoda from the Star Wars movies. The actor who voiced Yoda and a host of characters from the Muppets headlines the final Star Wars Weekends of 2015. 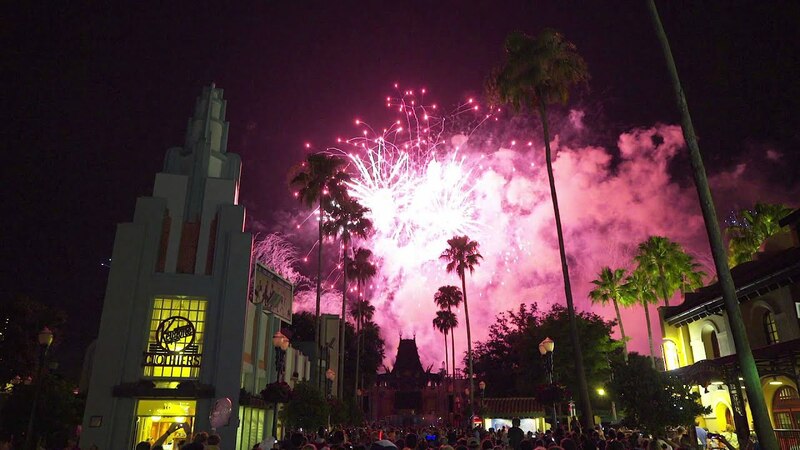 See the Star Wars Weekends firework show from all new angles. 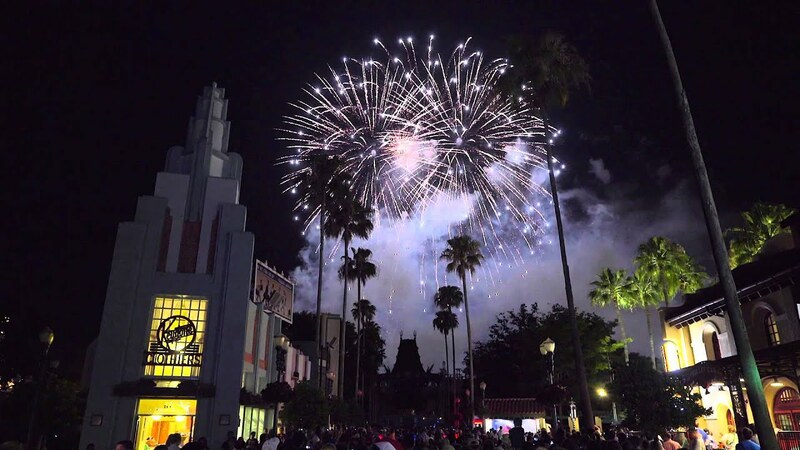 'Symphony in the Stars' Fireworks return for Star Wars Weekends 2015 along with a reshuffle of event locations. Star Wars character dining returns for the summer of 2015 at Disney's Hollywood Studios. Star Wars Weekends returns to Disney's Hollywood Studios for 2015. Jedi Training Academy: 8:45am, 9:20am, 10:05am, 10:35am, 12pm, 12:30pm, 1pm, 1:30pm, 2pm, 2:30pm, 3pm, 3:30pm, 4pm, 4:30pm, 5pm, 5:30pm, 6:30pm, 7pm, 7:30pm. Padawan Mind Challenge: 12:15pm, 2:30pm, 4:15pm, 6pm. James Arnold Taylor is the official celebrity host of this year's event, joined by Ashley Eckstein as the host of the “Behind The Force” shows each weekend. Ashley Eckstein (Ahsoka from The Clone Wars) and James Arnold Taylor (Obi-Wan Kenobi from The Clone Wars) attend each weekend as hosts. Jedi Training Academy (Star Tours Stage): 8:45am, 9:20am, 10:05am, 10:35am, 12pm, 1pm, 1:30pm, 2pm, 2:30pm, 3pm, 3:30pm, 4pm, 4:30pm, 5pm, 5:30pm, 6:30pm, 7pm, 7:30pm. Signs ups located near Indy Epic Theater. James Arnold Taylor – 9:45 a.m.
Tim Rose - 1:30pm, 4:30pm, 5:45pm. Star Wars Weekends is into its final weekend and here is the full line-up to help your planning. Tom Kane - 9:45am, 3:00pm, 4:30pm. Our visiting celebrities, along with the most beloved Star Wars characters, celebrate the entire Star Wars saga with a grand motorcade. NEW LOCATION at Sorcerer Hat Stage! and under). Registration begins at the Event Information Table near Sounds Dangerous at park opening. Space is limited. Registration is on a first-come, first-served basis. The Challenge begins at 2:10pm and 6:30pm. Hey kids, do you have what it takes to become a Jedi? You could be one of the lucky Jedi hopefuls selected to test your skills with a lightsaber. 12:15pm, 1:30pm, 2:00pm, 3:45pm, 4:15pm, 4:45pm, 5:15pm, 5:45pm, 6:15pm. Interact with characters from the Star Wars saga. Featured in numerous locations around the STAR TOURS attraction, Premiere Theater, and NEW THIS YEAR at Jabba’s Hutt! Join host Ashley Eckstein in Clone Wars: Behind the Force – a show that explores the excitement of Star Wars: The Clone Wars with a fascinating look behind the scenes led by the talented voice behind “Ahsoka Tano” and other guest celebrities. The talented actor behind C-3PO takes his audience on a theatrical journey Inside the Saga. Joined by beloved Star Wars characters, Anthony provides a one-of-a-kind glimpse spanning 35 years from his initial interview for Star Wars through his latest journey with Star Tours. James Arnold Taylor, Hollywood voice actor behind Obi-Wan Kenobi in Star Wars: The Clone Wars, as well as an entire galaxy of popular characters, takes Star Wars Weekends Guests on a fun and fascinating journey into the unique world of voice acting. See if you can keep up with the over 150 voices that James performs! Hyperspace Hoopla – Star Wars characters and guests gather for an entertaining conclusion to each day’s events. Jeremy Bulloch (Boba Fett from Empire and Return of the Jedi) and Ashley Eckstein (Ahsoka from The Clone Wars. The dates for this year's 2009 Star Wars Weekends at Disney's Hollywood Studios are each Friday, Saturday and Sunday from May 22 to June 14 2009. Disney’s Hollywood Studios, Walt Disney World Resort, Lake Buena Vista, Fla.
A Galaxy of Photo Opportunities – Encounter more than 50 Star Wars characters from the entire saga. From Darth Vader to Darth Maul and Greedo to Chewbacca, you’ll find heroes, bounty hunters, droids and villains from throughout the galaxy. In addition to being the voice of “Ahsoka Tano” in The Clone Wars TV series and feature film, she has appeared on shows such as “That’s So Raven” and in films including “Sydney White,” which starred Amanda Bynes. She and her husband, Major League Baseball player David Eckstein (a two-time All Star who won the 2006 World Series MVP Award), were married at Walt Disney World Resort in 2005. Jedi Training Academy – Each young “Obi-wanna-be” who is chosen will learn a lightsaber combination as they prepare to face the dark side! Star Tours Attraction – Blast your starspeeder through the ultimate Star Wars adventure. Padawan Mind Challenge – Kids under 12 can test their wits before the Jedi Council! Wicket’s Warehouse – Shop a galaxy of Star Wars themed and limited-edition merchandise developed just for Star Wars Weekends 2009. Entry included in regular theme park admission. Appearances and entertainment subject to change without notice. For the latest information on Star Wars Weekends, guests can visit disneyworld.com/starwars or call 407/W-DISNEY (934-7639). As always, they are subject to change, but here is the current list of celebrity guests. The celebrity host for each weekend will be Jay Laga'aia (Captain Typho) while Clone Wars: Behind the Force will be hosted by Ashley Eckstein (Ahsoka). Ray Park thrilled audiences as the unforgettable Darth Maul in The Phantom Menace, and will be joined by Warwick Davis, who played Wicket in Return of the Jedi as well as Anakin's young friend Wald in The Phantom Menace. James Arnold Taylor, who voices Obi-Wan Kenobi in The Clone Wars, will appear as a guest in Behind the Force. Peter Mayhew has of course appeared in four of the six Star Wars movies as the mighty Chewbacca. Also appearing will be Matthew Wood, Supervising Sound Editor for the Star Wars Prequels and The Clone Wars as well as the voice of General Grievous and the battle droids. Jeremy Bulloch is best known for his role as Boba Fett in The Empire Strikes Back and Return of the Jedi, and also made a brief cameo in Revenge of the Sith as Captain Colton. David Prowse played ultimate villain Darth Vader throughout the original trilogy as the man behind the mask. Matt Lanter, the voice of Anakin Skywalker in The Clone Wars, appears as a guest in Behind the Force. The creative force behind The Clone Wars, Supervising Director Dave Filoni is also a die-hard Star Wars fan! Filoni will be joined by Temuera Morrison, who plays Jango Fett as well as the unmasked clones of Episodes II and III!